Whether it is epoxy flooring systems or polished concrete, we talk a lot about new floor installation. While new floors are oft necessary in new build or renovations, there are many floor projects that can benefit from a simpler, cheaper approach known as floor restoration. That is why we are excited to welcome Brendon Bailey, a veteran floor refurbisher, to the Pro Floor Design team. The addition comes as we strive to provide the most professional, comprehensive and engineered flooring systems and restoration aligns perfectly with these goals! 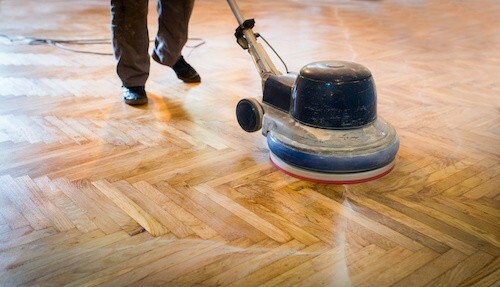 When is floor restoration your best option? Both residential and commercial flooring takes a lot of wear and tear over the years. Residentially, you are walking the floors every day, and kiddos and pets only quicken floor erosion. Commercial flooring in businesses like restaurants and boutiques also wear out quickly due to human traffic coupled with furniture shifting of chairs and shelving. The original finish is the protective layer that prevents erosion from wear and tear. Sometimes floors don’t need a major overhaul but do need some TLC once they become dull. If your floor is mostly intact – meaning it does not have a ton of chips, cracks or missing sections – restoration is both economical and quick versus replacement. Opportunities for restoration are nearly unlimited and can give new life to floors of several types of materials. Hardwoods, stone, tile, linoleum, laminate, and terrazzo are all materials that are prime for floor restoration. Hardwood floors are a sizable investment. But after about 20 years, hardwoods start showing the wear and tear that they’ve sustained. Typically, hardwoods can be safely sanded six times during its lifetime. Refurbishing these floors is a fantastic alternative to replacement. Sometimes, you don’t even need a whole sanding operation. You’d be surprised was a bit of scuffing and buffing can do for those dull floors (and for about $1 per square foot though actual cost is project-dependent). Post-buff, a new urethane is applied and your floors look good as new. If small portions need to be replaced or treated for stains or blemishes, we can handle these areas without needing to replace the whole of the floor. Stone flooring materials often require annual upkeep to keep them in shape for years to come. Materials like travertine, terrazzo and even granite need routine cleaning in addition to an annual sealant to delay replacement. Scratches or small cracks and chips on these surfaces can also be ground or honed to remove mars without needing to go through a costly replacement. Tile is a sturdy flooring material but cracks fairly easily over time. Additionally, grout is quite porous and accumulates dirt over the years, resulting in a grimy look. If you still like your tile pattern, restoration saves you the costly process of removal and replacement. The result is a floor that looks like new! Linoleum floors are prone to wax and dirt buildup. 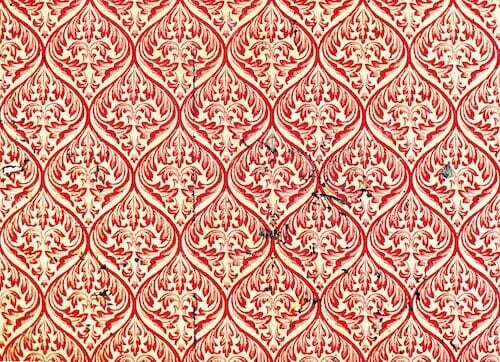 It is also a material that is susceptible to cracking or curling, discoloring or a general fading over time. The process of stripping – and resealing – linoleum is a great way to freshen up the floors without needing to pull old linoleum out and invest in a new floor. Once resealed, the linoleum will display its original high-gloss shine. So if your floor needs a little love to get back to its old self, give us a call! Brendon is happy to talk through your home or business’ flooring restoration needs and prepare a quote!